I Took an Extended Break from Teaching Fitness Classes. Here Is What Happened. What are you doing three months from now? Do you have any idea what your schedule will be every single day over the next 90-day period? If not, don’t worry. You are like the majority of people. And if you are like me, you’re not 100% certain of what all is on the schedule for tomorrow. Don’t even get me started on everything I need to do next weekend. Yet, four times a year, looking forward into the future, I put my name down to teach multiple classes a week at different clubs and locations over a three-month period and hope nothing comes up during that time to disrupt my “carefully planned life.” By the way, I hope you realize that is sarcasm. My daily life is anything but carefully planned out. Many of us find ourselves in a situation where we are expected to have it all figured out, time to fit everything in, and, if something comes up that disrupts that finely oiled machine we call our daily schedule—well, chaos ensues. I have a husband that works, two active school-aged boys with very full sports schedules, a child with an incurable disease, a puppy that needs a lot of attention, a few different jobs revolving around fitness, and a personal goal to get back to my racing fitness from previous years. I’m also kind of the glue that holds everything together in my family, because nothing is ever truly lost until your mom can’t find it, right? I lead a very full and fortunate life. The problem is, sometimes it can get a little too full and that actually turns out to be a bit of an empty life. When I first started teaching fitness classes, I would take on multiple classes a day at different locations. I was running off of adrenaline and the exercise high, all the while ignoring the pain, fatigue, exhaustion, and panic of not knowing if I would be able to make it across town through rush-hour traffic to set up for my next class. Sound familiar? If it doesn’t, that’s OK. You were probably smarter than me. It’s a lesson that I learned over time. Over the years, I eventually scaled back when, where, and how I often I taught. I started listening to my body. I was fortunate to make it onto a regular teaching schedule and reduce the chaos a bit. But then, I did it to myself yet again and took on more classes and different jobs in various formats of teaching people about fitness. Finally, I broke down in several ways on multiple occasions. Something had to change. I am able to heal. I have taught fitness classes with a broken hand, a concussion, three ribs out of place, a frozen shoulder, through piriformis syndrome, with the flu, through multiple chest infections, and with pneumonia. Please understand, these were all separate situations, although looking back, it’s hard to say if one didn’t lead into another. Teaching fitness classes while sick or injured just isn’t the smartest thing to do. It’s not a badge of honor. It is a disservice to your body. Don’t do it! I decided to take time to heal because life is stressful enough without having to go through it in pain. I reconnect with the people that matter the most. Each week I get to enjoy fitness with about 260 people in my classes. The majority of them like me and enjoy my classes—or at least I’m assuming so because they keep coming back week after week and have something to say about it when I need to sub a class out. And while it is great to be adored and followed and it makes you feel important, teaching is all about giving. When we are up on stage it isn’t about us…it is about the people in front of us, no matter if we have 5 people or 50. So we had better bring our A game. That energy and attention I shower on others can be a bit draining, sometimes to the point where I feel I don’t have as much to give to the people I share my life with. As important as you feel when you are up on that stage, remember it is a job, but it is not your life. Save some for the people who are going to consistently be in your life for the next 75 years. I get a little fat. When I’m not busy every minute of the day, when I’m not working out one to three hours a day, when I’m meeting new and old friends and spending time “relaxing,” I eat the same (or worse) than I normally do. I’m not advocating keeping a strict diet 24/7 twelve months of the year, but I’m also not suggesting that I take the mentality of an unchaperoned child at a buffet table during a party. Decreased activity levels without a subsequent decrease in daily caloric intake will result in a little extra me. And a couple of times a year, I am OK with it, because obsessing over it isn’t healthy either. I focus on what I want or need to do. Stretching, massages, training, reading, laundry. The list of what I want to do and what I need to do is endless. By taking a block of time away from teaching, instead of just scratching the surface, I can really dive in. That is how habits are formed. Not piecemeal, but with conscious thought, structure, and commitment. If there is something that is really important to you, spend a bit more time on it in the beginning to ensure it can be maintained once everything goes back to normal. This one comes with a caveat. Your body, when it recovers from training stimuli, with proper progression, nutrition, and rest, becomes stronger. But it isn’t going to last indefinitely. That is why with rest, recovery, and focusing on my own training, I am able to progress. If I don’t use my time off wisely, my fitness will decrease. So, I try to keep active and move my body in ways that will lend themselves to health and fitness while taking time off from teaching. It is daunting to feel the pressure of having to come up with new material for multiple classes each week. Proper planning, music, timing, research…there is a LOT that goes into teaching a single 60-minute class. There is nothing like a break from teaching to get those creative juices flowing. I try to attend classes and learn from other instructors, go to a conference and learn from presenters, read some articles, or listen to some podcasts for inspiration. When your day is chock full it’s difficult to find time to sit down for an hour or two to find ideas. Doing this research and creating an “idea file” for the rest of the year is time well spent. I learn a bit more about me. I try new things, I get rid of old things, I meet new people, I go to different places. I am not a one-dimensional being so why would I live the same way all the time? I use this time to figure out what I really enjoy and what I don’t need in my life anymore. Because when I am in the thick of things, it can all get a little too routine to the point where I forget how I should feel about things. And when I recognize that I am starting to feel bad, grumpy, sick, tired, or any other state that isn’t as close to optimal as possible, I can reflect on this time that was just for me and realize that I have some control over what direction my life is headed. The most insidious outcome that can potentially arise from not allowing yourself a little recovery or “me time” is burnout. Once you hit this stage, all joy, motivation, and desire are gone. Burnout can manifest in several different ways: depression, anger, lack of energy, short temper, not caring, weight loss/gain, sensitivity, paranoia, and avoidance. It can be mental, physical, and emotional. It is a point you do not want to reach as it is overwhelmingly hard to dig your way out of this state. If I wake up and am not looking forward to teaching each and every one of my classes that week, I do a quick physical, mental, and emotional inventory. How is my sleep? My nutrition? My workouts? My relationships? My workload? I try to pinpoint anything that may be off-kilter. Failing to find anything, I will assess what I need to do. Although it’s not always easy to get a sub, that would be my first course of action. Take a mental break day or just teach the classes in the week that fill me with joy and find replacements for the rest. This often does the trick and the body and mind find balance again in the short term. Getting away from it all for a longer period of time can be extremely helpful as it gives perspective and a renewed sense of desire. As a fitness instructor, what do you do to ensure that you are leading a balanced life? When did you figure it all out? 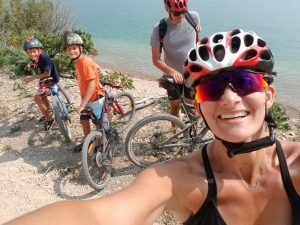 Share some thoughts and ideas with our readers so that no matter where they are in their fitness journey, they can see that taking time off from teaching is not only necessary but can actually be very rewarding. I am impressed that you take the time off and get back on the schedule! I’ve left classes — but have ended up not going back — mainly b/c the rehiring process takes so long…I suppose if you have a place that saves your class while you are gone for 2-3 months — or a month here and there –than that could work. I am taking a week off in February and going to a wellness spa! Let’s see if that renews me — b/c sometimes I think of giving it all up (my teaching)– at least for a time period– if not for good. This is fabulous Karyn and I love what you’re doing! I could use this in my life as well but I just don’t see myself having the courage to do it. And as much as I have felt burned out at times, I know how much I would miss my classes and the people who attend them. Sometimes it is my own sanity to be in that room. I think I have a lot less on my my plate than you and a very routine schedule. You’re doing such a wonderful thing for yourself, your body, your mind and your family, kudos for recognizing it! I think the “time off” that works for me are my evenings. 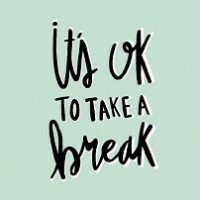 My days are a whirlwind but at night I am able to decompress and connect with my family over dinner, relax with a good book, bath, crossword puzzle or CandyCrush! I allow myself to completely let go of the day. And I wake up ready for it all again. Sherri, I honestly believe that when you know, you will know. I’ve taught classes where they were across town, not at a great time in my changing schedule, and did not spark my joy. I wrestled with giving them up, so as not to put my company in a bad position nor disappoint members, but once I decided, the relief was palpable. The members that miss me the most come to the clubs I do teach at. Or they get the opportunity to work with other wonderful instructors. I think we get accustomed to the stresses that we hold and only realize it when they are gone, or when we finally break. I’m glad that you recognize what you need to find balance in your life. That works for you so keep being mindful of it. You might find that everything works for you, so no change is needed. But do know, that in the event you just don’t feel the love or you just need time for you, it’s ok to take it and wonderful things can happen from it. And if you ever need to chat, just look me up!